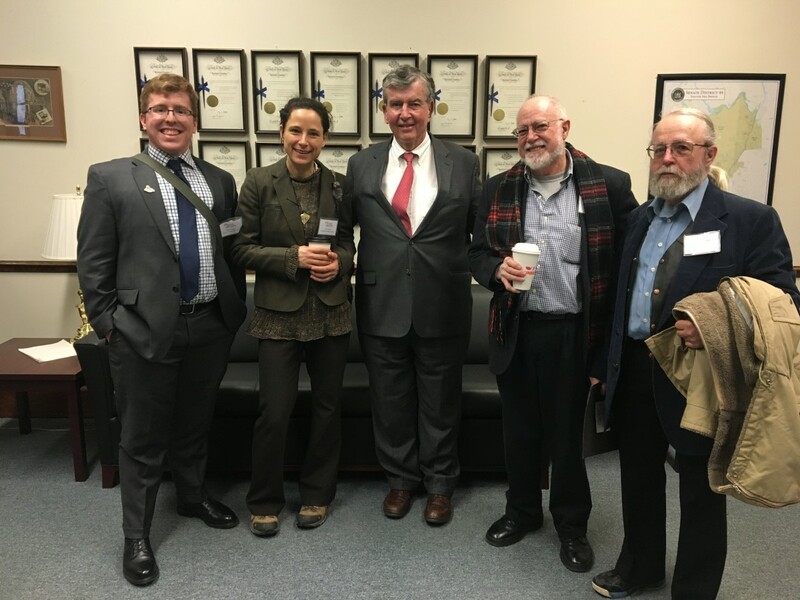 In February, ADK (Adirondack Mountain Club) participated in two important Lobby Days at the Capitol in Albany, NY. The first was the Catskill Park Awareness Day on February 5. ADK staff and volunteers, and other regional conservation organizations who form the Catskill Park Coalition, gathered on the 3rd floor of the Legislative Office building to hear from Assemblywoman Aileen Gunther. Assemblywoman Gunther, who represents District 100 (Middletown and Monticello) in the western Catskills, spoke of the importance and beauty of the Catskill Park and region. She thanked the advocates who had come to talk with her colleague legislators to gain support for a $15 million Catskill Package in the State Budget. Governor Cuomo proposed the Executive Budget in January, and now the Assembly and the Senate will follow with their own proposals. Ideally, the three budgets will be negotiated into a final form by April 1, which is the deadline set by the Governor to finish the budget. 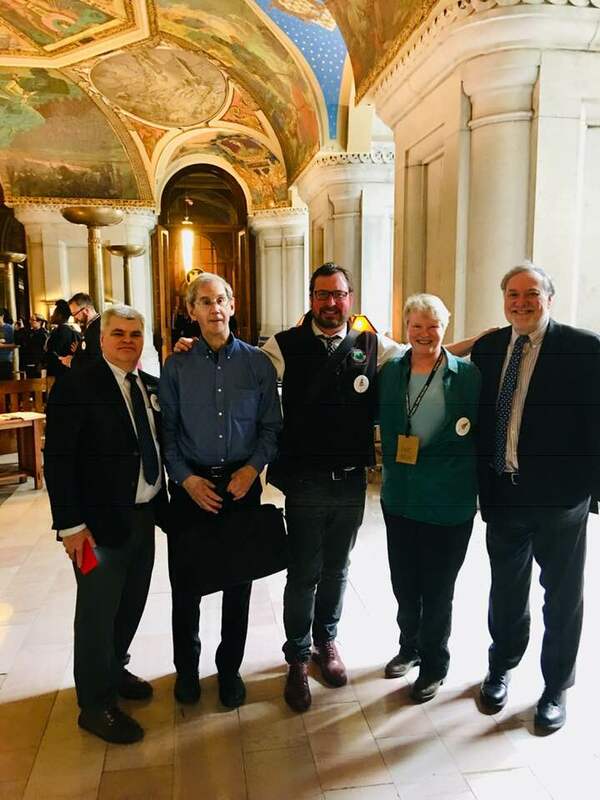 On February 12, ADK staff and volunteers again convened at the Capitol for the Environmental Protection Fund (EPF) Lobby Day which is organized by the Friends of NY’s Environment Coalition. This year the group was advocating for a $300 million EPF which supports public land acquisition, farmland protection, stewardship projects (like the Summit Stewardship Program, which ADK staffs, and our Professional Trail Crew), recycling, invasive species spread prevention, support for urban zoos and botanical gardens, climate change mitigation and adaption, and many more critical environmental and conservation projects that we all tend to take for granted. In one of the meeting rooms in the Capitol Concourse, Assembly member Steve Englebright, Environmental Conservation Committee Chair for the New York State Assembly, spoke to the advocates about the urgency of addressing Climate Change and the potential for human actions that may be able to reverse the warming trend, including re-growing forests. He thanked the volunteers and staff from the many conservation organizations that make up the coalition and explained how to talk to the legislators in the day’s meetings about rejecting some aspects of the Governor’s proposal which would weaken the EPF by siphoning off funding for other areas of the budget. Although it coincided with a winter storm of heavy snow and sleet, the Lobby Day was successful, with legislators and their office staff pledging support for a $300 million EPF in this year’s New York State budget. Lobby Days are a great way for you to meet your state representatives and talk to them about issues that are important to you. 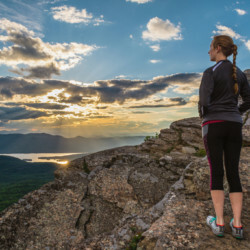 If you missed the two described above, there will be two more Lobby Days organized by Parks and Trails New York and the Open Space Institute on March 4 and March 18. 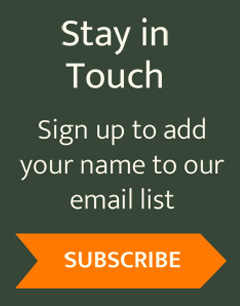 Sign-up for the March 4, Parks Lobby Day here: https://www.ptny.org/events/advocacy-days. Read more about the March 18 Trails Lobby Day at: https://www.ptny.org/events/empire-state-trail-advocacy-day.